Not a Saguache Co. resident? CEOLP cremation services are only available to Saguache Co. residents and land owners. If you’d like more information on alternative services, please visit Informed Final Choices’ website by clicking here. 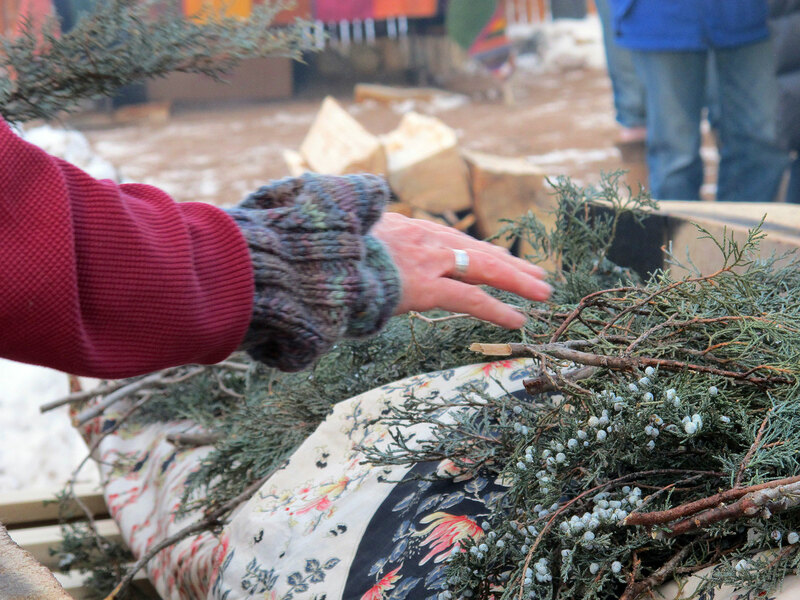 Residents of the Crestone area have for many years been exploring options for home funerals, and in recent years the Crestone End of Life Project has worked to develop and spread awareness of these possibilities. A wealth of knowledge pertaining to this area exists in our community. There are a variety of options for people to deal with part or all of the process of caring for their loved one’s body after death. Please read more general info on the Informed Final Choices home funeral information page. A function of the Crestone End of Life Project is to assist the families and friends of the deceased in planning meaningful, personalized rituals to mark the death of their loved one, and to assist, if necessary, in bringing those rituals to fruition. Offering a range of silk and natural sari fabrics, oils and incense. Handcrafted ceramic urns in a variety of shapes and sizes with an array of glazes. Beautifully crafted wooden urns, made to purchaser’s specifications. Hand-built pine coffins and stretchers for green burial or conventional cremation. Unique and skillfully crafted memorial plaques and copperware. Informed Final Choices is our parent organization — a non-denominational not-for-profit service organization standing at the center of end-of-life issues.